Everybody needs good neighbours ..? More than half of all Brits don’t even know their neighbours’ full names, a survey has found. Residents across the UK are living next door to ‘thingy’ and ‘whatshisname’, after research revealed 57% don’t know their neighbours’ name. 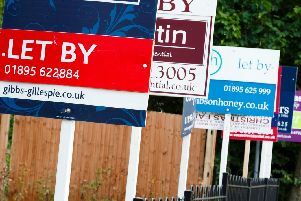 A poll of 2,000 British householders found that almost a third of those quizzed couldn’t recall the first name of the person living just yards away. Meanwhile just over half (51%) were in the dark when it came to surnames. And that’s despite the average Brit living next door to their neighbour for over seven years. The survey by DistinctiveChesterfields.com, also found that more than a quarter of people (27%) wouldn’t even bother to say ‘hello’ to their neighbours if they saw them leaving the house. And it seems ‘love thy neighbour’ is wishful thinking when it comes to British streets, as one in five people have had an argument with someone they live next to. Nuisance noises ranked top of the list for making residents see red (68%) followed by one in five who fume over boundaries, 13% who battle about behaviour and 12% who take their neighbours to task over gardening. A staggering 10% of Brits went as far as to claim they hated their neighbours, with 6% resorting to legal action against someone they live next to and 2% who claimed they’ve been assaulted. And one in ten respondents said they got so riled by neighbourly rows that they had to move home. Research shows that most traditional values have been abandoned as three quarters of Brits wouldn’t even ask a neighbour to watch their house while they went on holiday. Less than one if five (18%) gave their neighbours spare keys in case of an emergency and just 27% offering to put someone’s bins out. On a more positive note, a third of residents say they have actually kept in touch with a former neighbour after they’ve moved home. Steve Laidlaw from Distinctivechesterfields.com said: “It’s a shame we no longer seem to uphold the traditional values of living on a street where you know most of your neighbours.